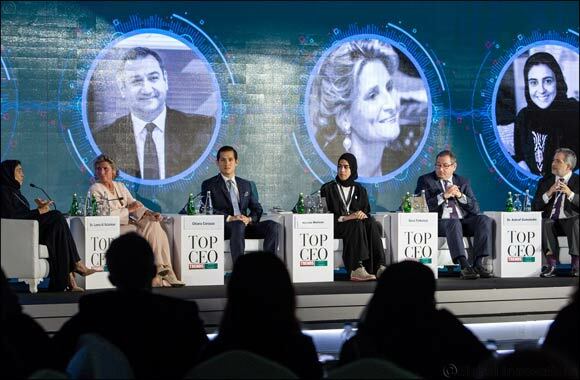 Dubai, United Arab Emirates, 11 April 2018: For the first time ever, the Kingdom of Saudi Arabia is hosting the ‘Arab Women Forum’ as part of the fourth edition of the ‘Top CEO Conference and Awards’, which kicked off on 10th April and will run until 11th April at King Abdullah Economic City. On the first day of the forum, an elite gathering of top female executives, decision makers, professionals, and experts on women empowerment and business leadership gathered at key sessions including ‘The Economic Revolution’, ‘Entrepreneurs’ and ‘The Community-Based New Economy’, among many others. The first day of the forum also explored the societal challenges that women face in business, with sessions dedicated to ‘Arab Women’s Image’ and ‘Political Representation’, and gave attendees the opportunity to hear from business women who have achieved a successful work-life balance in a session dedicated to ‘Balance’. During the forum, participants will be introduced to the ‘Women to Watch Network’, which includes women who have secured significant new jobs, taken on major new challenges, and achieved impressive successes that are positively changing the region’s business environment. The ‘Arab Women Forum’ is supported by Arab News as the Official Partner of the event. Women’s Forum as the Supporting Partner of the event and Haya magazine as the Media Parter.